I didn’t know what to expect from my newly planted hydrangeas this year, and I am pleasantly surprised! All types – Limelight, Endless Summer, Pinky Winky, Pee Gee and this gorgeous Blushing Bride, are flowering. The Blushing Bride shrub must really love the dirt it’s growing in, because it is taking off. The leaves are large; the plant is sturdy and healthy looking, and the flowers are huge – this one is nearly 10 inches across. I am not doing anything differently with this plant than all the others. 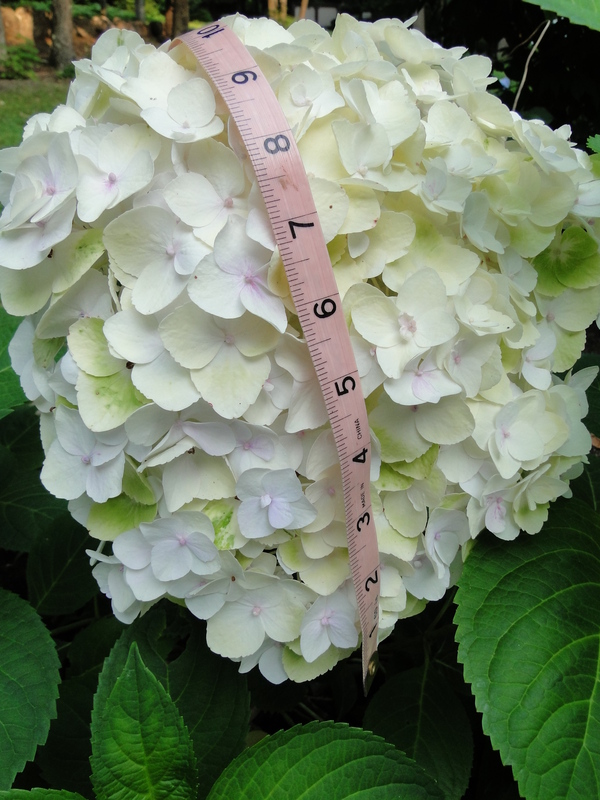 I had to get the tape measure out to show the actual size of this bloom. The white petals are mixed with some pink and green now. It will be fun to watch how the colors change as the flowers age. The Endless Summer’s blue flowers are really pretty, but only half as large. That poor plant got flattened early on by a freak rain storm we had. Apparently it’s not as sturdy as it’s sister with the white flowers. I will be working on some new wedding stationery using photos of this flower and getting them up soon in my online store. 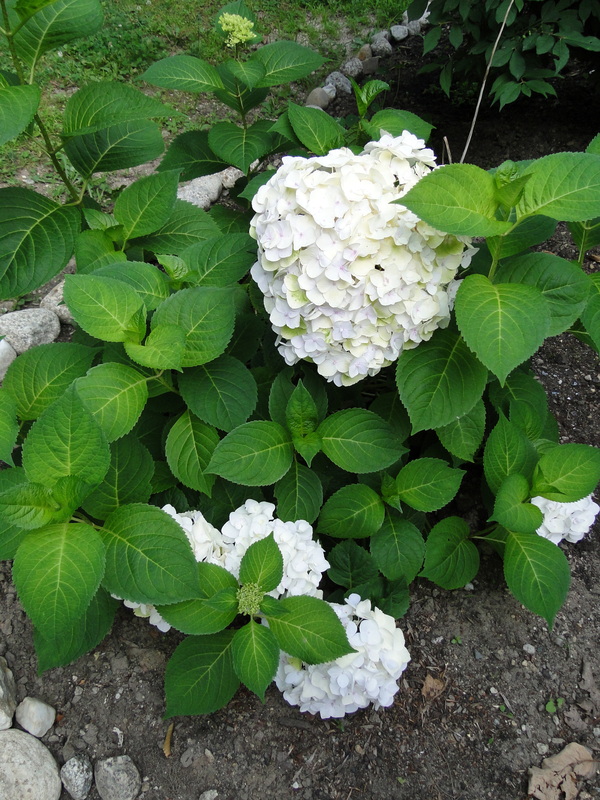 Next Post Learning From Experience – Which Hydrangeas Are Best?